I was invited by the editors of the Blue Line to write this piece after they saw some of the comments I had written for a utility industry newsletter that’s been following Boulder’s initiative to form its own utility. I must admit that I’m not familiar with all of the details and the history, but after spending nearly 40 years working in the electric business, I can offer a few insights. The first thing to realize is that what we in the business call publicly-owned utilities are not a cure-all for the ills – real and perceived – of being served by a for-profit, or investor-owned, electric utility. Research by the Lawrence Berkeley Laboratory shows that on average, there’s not much difference between the rates charged by investor-owned utilities and publicly-owned utilities though of course there are exceptions at both ends of the spectrum. In some cases, local utility control leads to innovation and more responsive service as exemplified by the Sacramento Municipal Utility District, which serves Sacramento California, and Austin Energy, which serves Austin Texas. In other cases, local utility control becomes enmeshed in city politics and utility revenues become a cash cow for the city, as is the case in Los Angeles, which has the largest municipal utility in the country. Many of the country’s rural electric cooperatives are among the most risk-averse businesses you’ll find, while others have gotten themselves in financial trouble by taking on ancillary functions without understanding the businesses or the risks. The second thing to realize is that a Boulder municipal utility will remain dependent on Xcel Energy for at least a decade and possibly longer. Boulder will need Xcel’s transmission system to carry power from wherever it is produced, whether by fossil-fired plants, renewable energy plants or a combination of the two. Since it sits squarely in the middle of Xcel’s Colorado electric grid, Boulder will need balancing services provided by Xcel’s fleet of power plants to ensure reliable service. In all likelihood, Boulder will have to source at least a portion of its bulk power supply from Xcel for a period of time until other arrangements can be made. 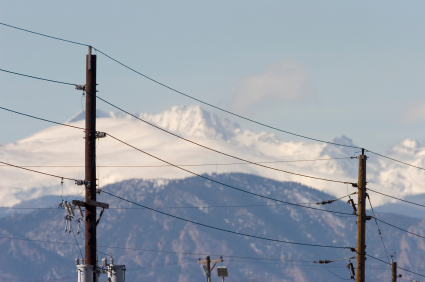 Although this places Boulder in a less-than-ideal commercial position, the Federal Energy Regulatory Commission has issued a number of rules over the years that are intended to protect smaller utilities embedded in the service territories of larger ones. A Boulder municipal utility will no longer be regulated by the Colorado Public Utilities Commission. Instead, either the city council or a separate board will be responsible for management oversight, prices and terms of service. On the positive side, a local regulator might be more willing to tolerate, or even require innovations that Xcel might be reluctant to go along with or the PUC might be reluctant to approve. For example, some elements of the Smart Grid City idea could be implemented differently and at much lower cost. On the other hand, local regulators could be more easily swayed by public opinion to take actions that negatively influence the municipal utility’s long-term viability. Since the renewable energy content of electricity consumed by Boulder residents was a major issue in the decision to explore a municipal utility, it’s worth pointing out that electrons can’t be color-coded. Renewable energy purchased from wind and solar farms enters the grid much like streams that enter a lake, and electricity withdrawn from the grid by business and residences behaves like streams that empty a lake. There’s no way to direct the flow from one point to another without building expensive new transmission lines that neighbors don’t want anyway. In fact, it’s entirely possible at least some of Boulder’s renewable energy could be purchased in Texas or portions of the Midwest that can’t physically deliver it to Boulder. Consequently, Boulder residents need to get comfortable with the idea that the flow of physical energy out of a wind farm that has a contract with Boulder is separate and distinct from the flow of money to that wind farm. Of course, renewable energy could also be purchased from solar panels on the roofs of homes and businesses in Boulder and wind turbines that feed directly into the Boulder distribution system, which would keep some of the money spent on renewable energy purchases in the community. Forming and operating a municipal utility is a complex, time-consuming and potentially risky undertaking. If it’s handled badly or if it’s done for the wrong reasons, consumers are going to see higher costs while failing to enjoy any benefits. If it’s done well, the citizens of Boulder have an opportunity to pursue distinct environmental and policy objectives that a large utility with service obligations across Colorado cannot. My advice to those of you reading this article is to educate yourselves and stay engaged with the process. Intelligent Utility | SmartGridCity: Did Xcel get results? I have a question I’ve been chewing on, and your background places you as someone who might be able to provide some perspective. Based on my research, it appears that wireless energy transmission is something that has been in the works for a long time (since Tesla), and now has several feasible systems for delivery. Is it possible that now is the time to consider a trial implementation? Boulder is a small area that could be served by a new type of energy delivery, and residents here in particular might be interested in siezing this moment to (1) eliminate unsightly wires just like they’ve elminated all billboards, and (2) avoid having to condemn and purchase the entire aging Xcel transmission infrastructure. Do you have a sense as to the state of this technology? Or do you know someone who does? I’m sure some folks besides me would be interested in whether wireless transmission is viable, or still science fiction. John, that’s an excellent question. I’m not an electrical engineer so I may not be the best person to answer your question but here’s what I’ve found. Apparently Nicola Tesla was able to light a lamp 25 miles away using the earth as a conductor back in the early part of the last century. It might be possible to scale this idea up to eliminate the transmission and distribution wires we all dislike. However if the earth is a conductor, metering becomes a problem. All one has to do is plug into the earth to get electricity, which means there’s no good way to charge people for what they use. I can tell you that putting distribution lines underground is not necessarily a great idea either. Our neighborhood in the San Francisco Bay Area had underground wiring, and we’d suffer lengthy outages every few years when the vaults flooded. Burying the wires puts them out of sight and that’s aesthetically pleasing. It makes the wires less susceptible to damage from snow and ice, wind and falling trees, but having the wires out of sight also makes it hard to find and troubleshoot problems. Thank you, Jack. I realize that the free transmission of energy would implicate a new way of paying for the service, for example a variable tax-based system for residents and businesses, which means users don’t pay exactly for what they use. But of course the costs of metering and billing are eliminated. What do you think, editors? Sounds like a Blue Line article on wireless transmission feasibility is called for. An article that discusses the idea of wireless transmission might clear up any misconceptions I’ve created about its technical and economic viability. However any method of paying for electricity usage that is not based on accurate measurement is going to create some pretty awful problems. For one thing, maintaining a semblance of equity will require frequent adjustments to a tax-based system. For another, it’ll still be necessary to meter usage by a sample of customers in different categories in order to determine how to adjust the tax-based charges. Users will start treating energy as an unlimited resource since neither they nor anyone else will be able to track how much they use. Just as with any other good or service with all-you-can-eat pricing, efforts at conservation and demand management will wither and die. Wireless systems that use the earth as a conductor mean anyone can plug into the ground to tap the supply. Wireless systems that use microwaves or lasers to transmit power have challenges of their own, based on my limited research. One of the key points an article on wireless electricity transmission should address right away is whether it is cheaper or more expensive than condemning Xcel’s wires or building a new system from scratch. My guess is that alternatives to new or condemned wires are probably going to be an order of magnitude more expensive because it hasn’t been done outside the lab and then only to move a few kilowatts.